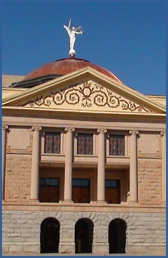 We have multiple committees actively working to improve services to Arizona’s children, adults, and families. All committees meet monthly, except for August. Members and their staff are encouraged to participate in committees. Advocacy committee helps to identify legislative and administrative advocacy concerns, determine our annual legislative priorities, and provide leadership for our advocacy efforts. The Advocacy committee is co-chaired by Susie Huhn (Casa de los Ninos) and Ron Smith (Lifewell) and meets at 12 on the day before the second Friday of the month. For more information about this committee, please contact us at 602-252-9363 or info@azcouncil.com. Monthly Meetings with AHCCCS staff. We have monthly meetings for direct service provider CEO’s and their Executive Team members with AHCCCS staff. For more information about these meetings, please contact us at 602-252-9363 or info@azcouncil.com. Child Welfare committee helps to identify issues, concerns, and find solutions to problems impacting Child Welfare service providers and the children and families they serve. The committee is chaired by Linda Scott (Jewish Family and Children’s Services) and meets at 10AM on the Thursday before the second Friday of the month. For more information about this committee, please contact us at 602-252-9363 or info@azcouncil.com. Human Resources committee provides an opportunity for your Human Resource (HR) staff to network and problem solve with one another and produces the bi-annual Salary Survey. The committee is co-chaired by Sally Jones (Human Resource Training) and Lorie Birk (Terros Health) and meets at 2:30 PM on the Wednesday before the second Friday of the month. For more information about this committee, please contact us at 602-252-9363 or info@azcouncil.com.